Do you want to learn more about the nutritional benefits of the protein-packed egg? Do you have questions about egg labeling, grades, or colors? Join University of Illinois Extension for “Eggs: From Farm to Fork” on Oct. 22 in Naperville. 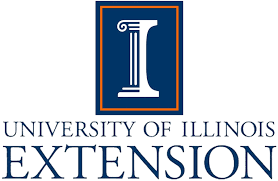 This University of Illinois Extension educational program focuses on egg options, selection and purchasing, nutrition, cooking and food safety. In addition, participants will receive a wide variety of egg recipes. An Extension Educator will lead the program via webinar, and this free seminar is provided in cooperation with the Association for Home and Community Education (HCE) of DuPage County. Registration is required by Wednesday, Oct. 17 to prepare materials. Space may be limited. It will be conducted 10 to 11 a.m. Monday, Oct. 22 at the Extension office, 1100 E. Warrenville Road, Suite 170, Naperville. To register, contact the Extension office at 630-955-1123 or email uie-dkk@illinois.edu with the presentation topic, your name, address and phone number. If you need a reasonable accommodation to participate, please notify at least two weeks prior to the event. This lesson is sponsored by HCE and University of Illinois Extension. HCE is an organization that works to enhance the lives of individuals and families through quality educational programs and experiences encouraging responsible leadership and service to the community. For more information on the University of Illinois Extension programs in your county, visit go.illinois.edu/extensiondkk.